Biometric registration, known as the "registro biometrico" or "censo biometrico" (biometric census) in Spanish, is the act of registering the members of a population by means of "unique, distinguishing biological traits such as fingerprints, hand geometry, earlobe geometry, retina and iris patterns, voice waves, DNA, and signatures. "(1) The objective is to confirm a person's identity in a more reliable manner than, for example, a simple signature. In May of 2014, Bolivian Government Minister Carlos Romero announced that all foreigners in Bolivia must participate in the biometric registration of Bolivia's population, a process that was initiated several years ago. 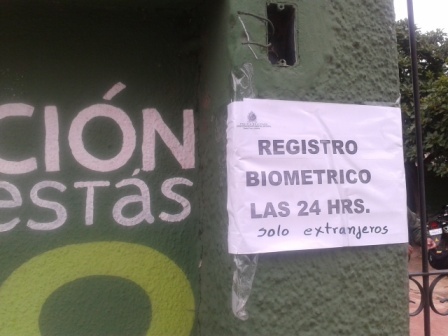 Given the upcoming voter registration campaigns to begin soon for 2015 elections, there was some confusion amongst the expatriate population in Bolivia as to whether or not this was a biometric voter registration (in which case, foreigners not qualified to vote would not need to register) or if all foreigners must register. a) All foreigners living in Bolivia must participate in the biometric registration process: all foreigners who currently have 1-year, 2-year, 5-year, and indefinite residency in Bolivia, regardless of age. This is not a voter registration or census. The purpose of the biometric census is to register all foreigners living in Bolivia. 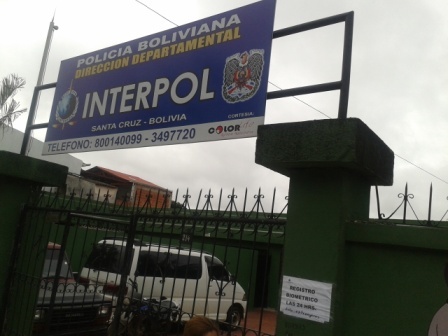 b) Bolivia's immigration service will also be working with Interpol to register all incoming travelers. d) Requirements: present your original passport containing your residency stamp, and your Bolivian carnet (I.D. card), both of which must be current and not expired... PLUS one photocopy of each document. f) Duration of this campaign: the biometric census will be ongoing. There is no end date. g) Where: at the Interpol office in your city. The information above was provided to us by officials at the Interpol office in Santa Cruz, Bolivia. (1) For a more detailed explanation of what biometric verification is, read: this page. (2) Text translated from: this page.